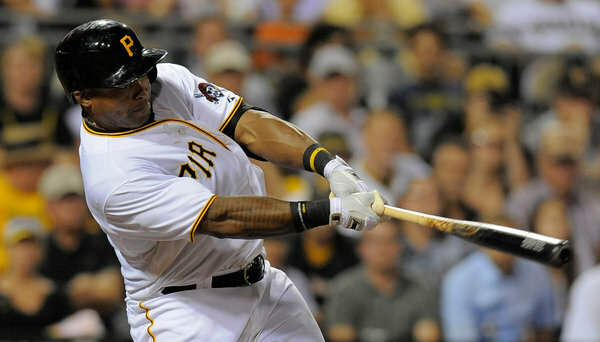 Outfielder Marlon Byrd has signed a two-year, 16 million dollar contract with the Philadelphia Phillies. Byrd began his career with the Phillies in 2002, and has since played for the Nationals, Rangers, Cubs, Red Sox, Mets, and Pirates. Last season, Byrd slugged 24 home runs, 35 doubles, and scored 75 runs in 532 at bats. His OPS was quite good at .847. Byrd can play all three outfield positions, but the Phillies should use him in right field for the majority of next season. Byrd had 10 outfield assists and a .980 fielding percentage last season with the Bucs and Mets. Analysis: This is a great pickup for the Phillies, as they really needed a right handed power bat, as well as a good right fielder. Expect Byrd to bat fifth or sixth in the lineup.